Do you believe high standards and economy can go hand in hand? Check out our event kits! This Green Ribbon Poster template is part of our low-cost, high-quality Green Ribbon Event Kit. 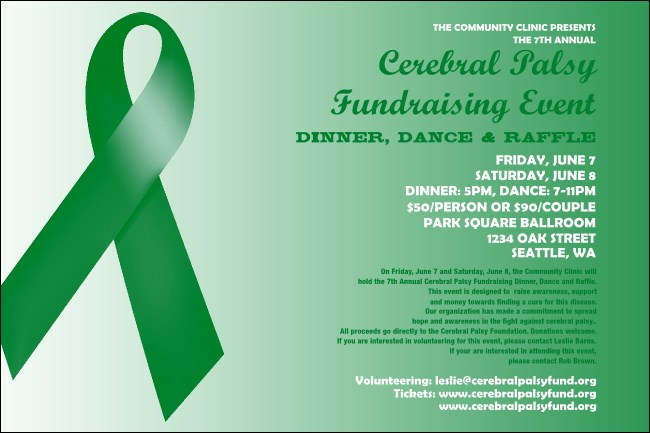 The green ribbon logo and background can stand for cerebral palsy awareness, traumatic brain injury awareness and support, organ transplant awareness, environmental protection, and much more!